In this blog post, I do not give you a purchase advice to find a camera for your specific needs. My intention is to give you some hints, how you can secure your camera against hackers, stalkers and other unwanted guests, as good as possible. That such an action is more than necessary, was demonstrated in October and September this year. In an incredible DDoS attack, a giant IoT-Botnet named Mirai caused outages and slowness for the services of Twitter, Reddit, Spotify and many more well-known internet companies. These attacks were made possible thanks to the collective power of thousands of enslaved internet-based security cameras, routers and other so-called Internet-of-Things devices (IoT). But what can I do to secure my IP surveillance camera? 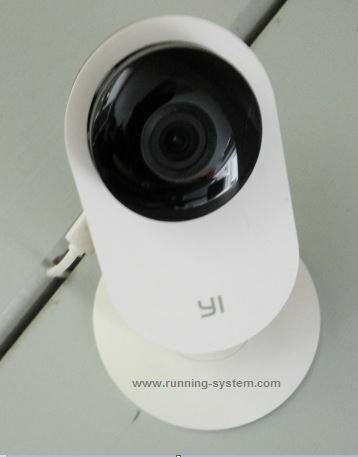 Most vendors of security cameras offer the possibility of firmware upgrades. It makes sense to pay attention by the purchase of a camera, if the vendor of your desired model is doing so, too. Before you bring your camera online for the first time, check if you already use the latest firmware. Check the website of your camera vendor frequently for updates! Read the operating instructions to learn how to upgrade the firmware. If you are using a wireless camera you will want to encrypt the connection to your router. Using WPA2 would be the best choice. Of course also take care to use a strong password for your router access! I know, this is something most of us do not want to do, myself included. To lay a cable to the camera is not possible very often because of structural conditions. But if it is easy to implement it has some advantages: it is more secure than the wireless version, you can expect a better signal and there is no need to take care of maximum wireless distances. Some cameras offer the possibility to rename or disable the default Admin account. If possible I recommend you to rename or disable the account. If possible and not necessary, do not connect your camera to the internet. Use a local network and set up your camera in a local-only mode. The operating instructions will help you. The decision where to install the camera is an important one. You have to take care if you meet the legal requirements, but the place should also be protected against weather conditions and manipulation.